We at Blouin Bros. Oil are dedicated to delivering the highest quality energy services, heating fuels, and commercial fuels to our Franklin County and northern Champlain Valley community. As your local, family-owned, full-service heating company, our goal is to keep your home comfortable and your family safe. For our commercial customers, we take pride in supplying premium fuels and lubricants to support proper and efficient operation of your business’s vehicles and machinery. Our top quality products and services are reliable, affordable, and easily accessible with the help of our courteous office staff and skilled technicians. All Blouin Bros. Oil technicians are fully licensed and experienced in installing and servicing a wide variety of oil and propane heating systems and hot water heaters. Not only are our technicians experts in their trade, but our staff is knowledgeable and prepared to assist you with any questions you may have about any of our heating and fueling products and services. To learn more about our services or fuels, please contact us at (802) 933-4420. 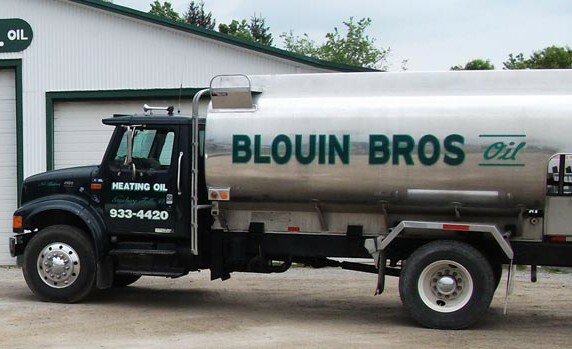 Thank you for being a Blouin Bros. Oil customer!